This client needed an entertainment space in their side yard. Due to the elevation, they needed a wall. 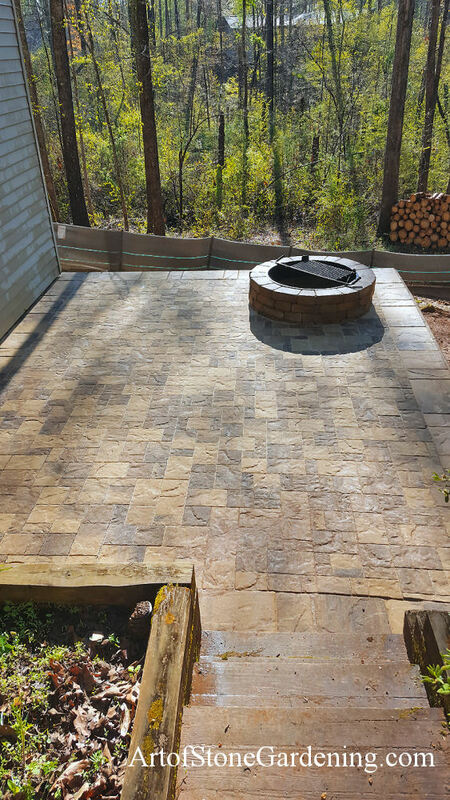 Once the wall was in place, we added a paver patio with a built in firepit. There is a grill on top of the firepit for cooking.